Jeff Guenther, right, and another volunteer adjust a wheelchair to fit a young boy. Jeff Guenther had a brother who fell in a pool as an 18-month-old toddler. A near-drowning victim, the boy lived in hospitals until he passed away when he was 13 years old. That family tragedy inspired him to get involved with Joni and Friends. 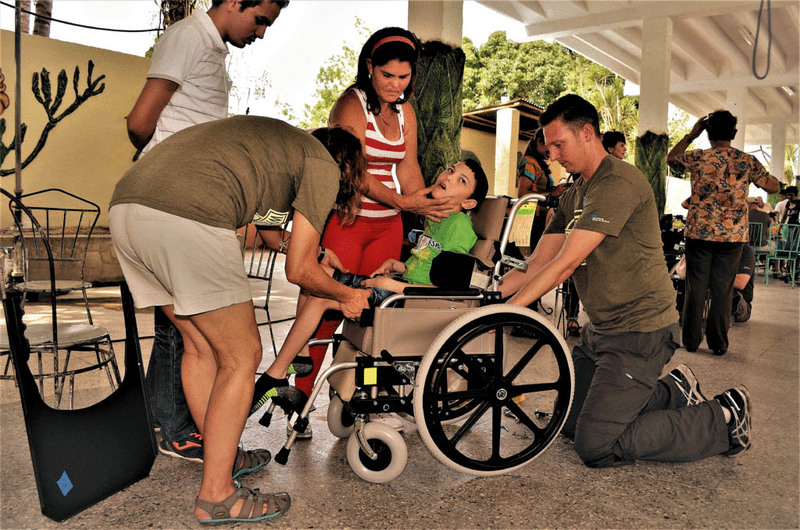 Recently, through the nonprofit organization’s Wheels for the World program, he spent 10-days in Cuba where he and other volunteers helped people with physical handicaps obtain wheelchairs. 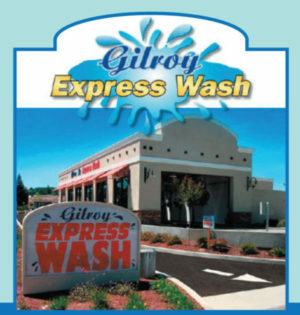 The owner of Gilroy-based South Valley Insurance, Guenther is a member of the West Hills Community Church in Morgan Hill. A few years ago, he was seeking a way to put his Christian faith into action beyond simply going to church. Joni and Friends seemed a perfect way to do so. Joni and Friends was founded by Joni Eareckson Tada who as a Maryland teenager led an active life riding horses, hiking, tennis and swimming. On July 30, 1967, she dove into Chesapeake Bay after misjudging the shallowness of the water. 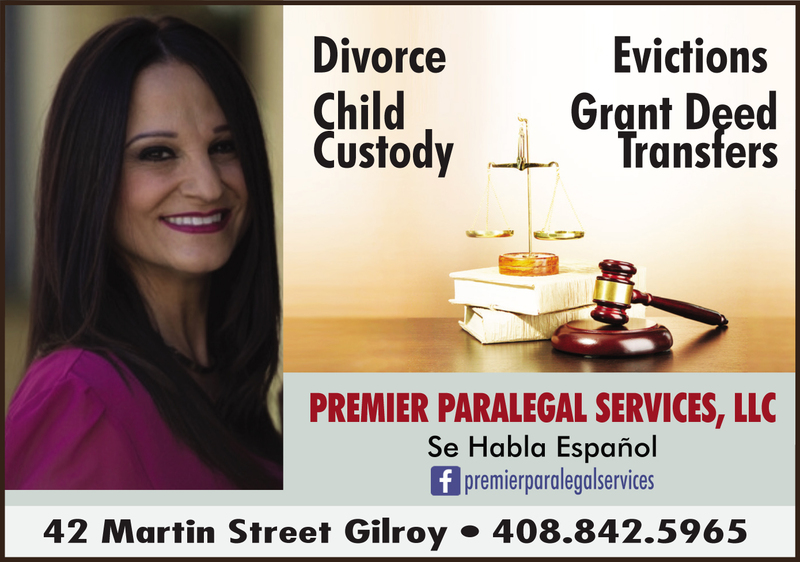 She suffered a fracture between the fourth and fifth cervical levels and became a quadriplegic, paralyzed from the shoulders down. During her two years of rehabilitation, the young woman experienced anger, depression, suicidal thoughts and religious doubts. She found in faith the strength that helped her get through the crisis. In 1979 she started Joni and Friends as an organization for ministry in the disabled community throughout the world. 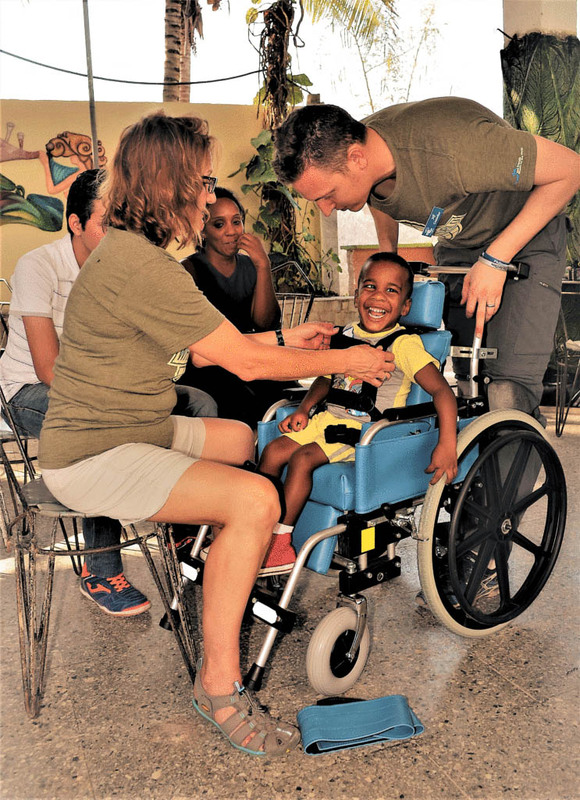 Jeff Guenther, right, helps a boy in Ghana adjust to a donated wheelchair. 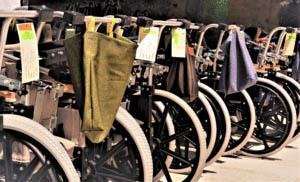 Among the various programs Joni and Friends organizes is Wheels for the World, which provides the gift of mobility to people in need. Often, people are excluded from life in their communities because they have no way of moving around. Receiving a wheelchair empowers them to become part of their communities and villages, changing their lives forever, Guenther said. 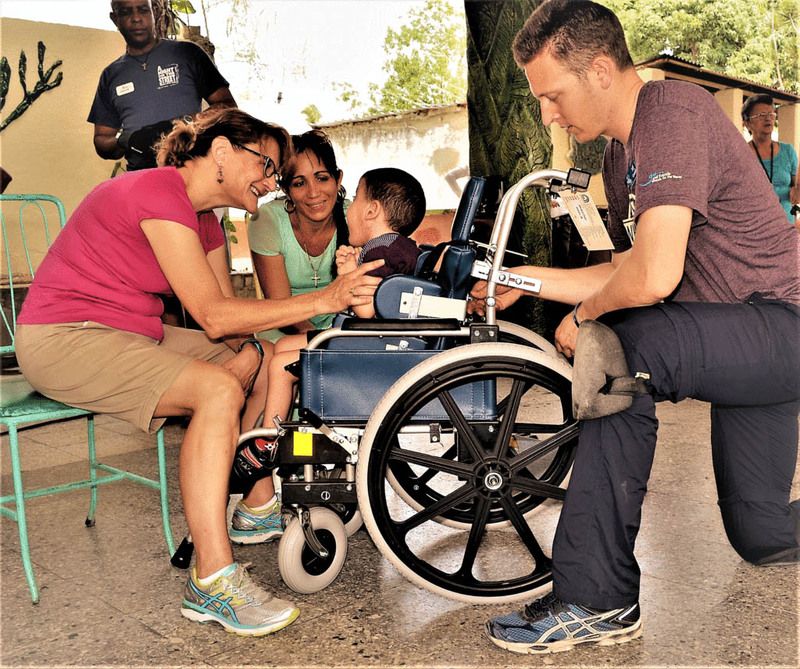 In the past year and a half, Wheels for the World has taken the Gilroy resident to five nations where he worked with medical professionals to customize wheelchairs for children and men and women who were not be able to afford them. His volunteering efforts took him to the West African nation of Ghana in October 2015, El Salvador in February 2016, China in May 2016, Jordan in October 2016, and Cuba in March and April. The gift of a wheelchair can significantly help improve the quality of life for an entire family, he said. Not just wheelchairs but other durable medical equipment is given to people, including walkers and canes. Guenther and other volunteers collect the wheelchairs and then take them to a shipping container where they are transported to other countries. About 200 chairs were shipped into Havana earlier this year and carried by trucks to Camagüey, the third largest city on the island, with a population of more than 300,000. A team of Wheels for the World volunteers then organized the equipment, cleaned them for re-use and fixed broken wheels and arm rests. People who needed the wheelchairs were examined by the medically-trained seating therapist to be fitted properly. Guenther wants to get the word out that if anyone in the South Valley region has a gently-used wheelchair or other mobility equipment they might wish to donate to Wheels for the World, they should feel free to contact him.